CEDengineering.com PDH and CEU courses are accepted by all State Licensing Boards as they are prepared in accordance with the Model Guidelines published by the National Council of Examiners for Engineering and Surveying NCEES CPC Guidelines and, therefore, are in compliance with all State Licensing Boards mandating Continuing Professional Competency (CPC) requirements. Since its inception in February 2007, CEDengineering.com has not had any one course rejected by any State Licensing Board. Our superior quality of continuing education PDH and CEU courses along with our long established professional relationships and compliance with all State Licensing Boards have earned us a high degree of confidence that any course you take will be accepted by all the State Licensing Boards indicated on the right hand side of each course outline. So, if you complete a CEDengineering.com online course that your licensing board does not accept for any reason, not only we will refund you the full purchase price of the course, but we will offer you a replacement course of equivalent number of PDH and CEU credits at no additional cost. Simply provide a copy of the rejection letter issued to you by your State Licensing Board and we will issue you a 100% refund within two business days. 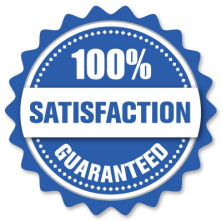 If you have any question about our 100% Satisfaction Guarantee policy, please contact us at info@cedengineering.com.